Many people regard John Locke as the most influential thinker of and contributor to the Enlightenment. The writings of John Locke influenced Immanuel Kant, David Hume, Jean-Jacques Rousseau, Voltaire, and many others including many Scottish Enlightenment thinkers and also the so-called founding fathers of America. The American Declaration of Independence echoes philosophical ideas of John Locke. 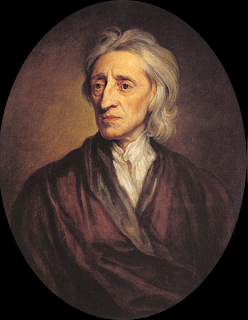 John Locke greatly influenced not only philosophy, but also politics, especially on liberalism and libertarianism. His contentions regarding the social contract and liberty inspired the writings of Thomas Jefferson, James Madison, Alexander Hamilton, and other Founding Fathers of the United States. Moreover, his philosophy helped spark the French Revolution and the American Revolution. 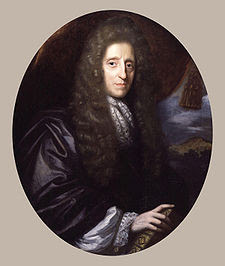 Locke rejected the idea that Kings had a divine right to rule. Instead, Locke argued that people are the source of power, not kings. Locke argued that people are born with certain "natural" or "inalienable" rights. These include the right to "life, liberty and property." Government did not give people these rights; rather they are born with them and as such, no government can take them away. Locke influenced the lives of the Native Americans as well. His statements on unenclosed and unimproved land justified their displacement loss of property. Locke had the curious but convenient belief that Africans and Native Americans did not practice agriculture and, according to him, the only entitlement to land came from cultivation. While opining on Liberty Locke invested a large sum in the Royal African Company, an enterprise specifically devoted to trading in slaves for sale to the plantations in the Americas. 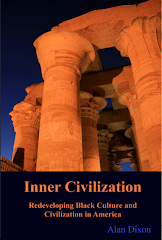 By the 1680s there was on fact a widespread opinion that Negroes were only one link above apes – also from Africa – in the ‘great chain of being’. This type of thinking was made easier by Locke’s nominalism- his denial that there was any clear definition of “man”. The general explanation for African enslavement was “Europeans argued that in taking Africans out of their native continent, they were ‘rescuing’ them from a ‘primitive’ and ‘barbaric’ existence” (Shillington 180). Thank you John Locke, and we salute you as today’s Famous Racist in History.